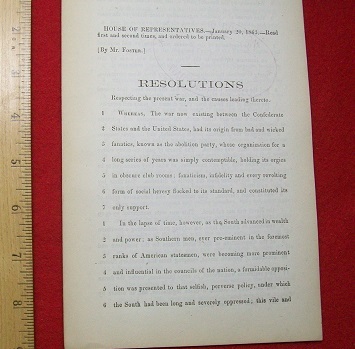 CSA Congress Resolution. 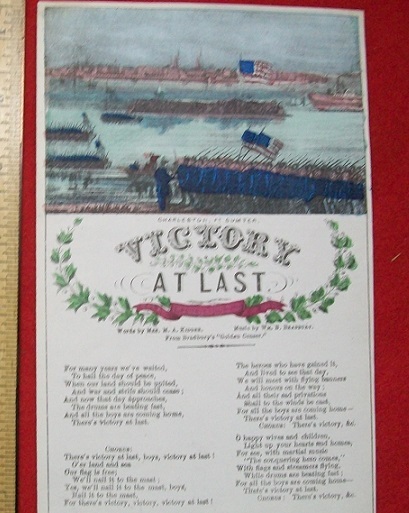 War between the North and South caused by bad and wicked fanatics called Abolition party. The south will prevail. 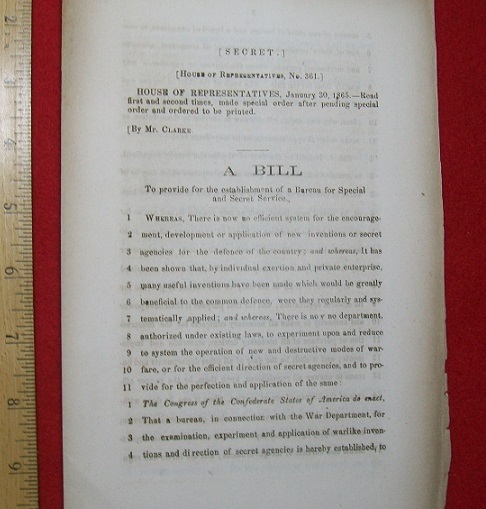 CSA House of Representatives SECRET BILL. Bill 361. Bill provides for Special and Secret Service. 8 pages. Split at spline but in good shape otherwise. 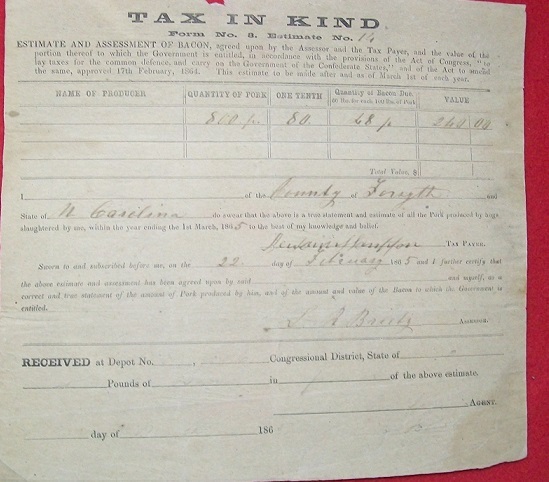 Tax In Kind. 80 pounds of Bacon due. 2/22/65. North Carolina. Ink on document is weak. CSA War Tax. 11/3/62. 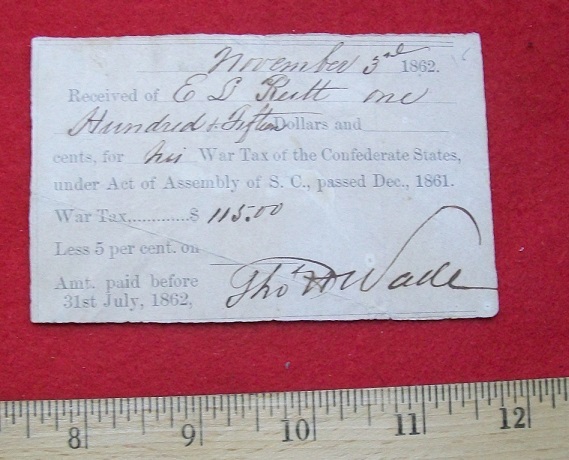 War Tax of $115 paid by E L Rutt. Civil War Doctor's Release to get a man out of the Army. Lycoming County. Pa. Doctor certifies that a soldier is exempt from the Service. 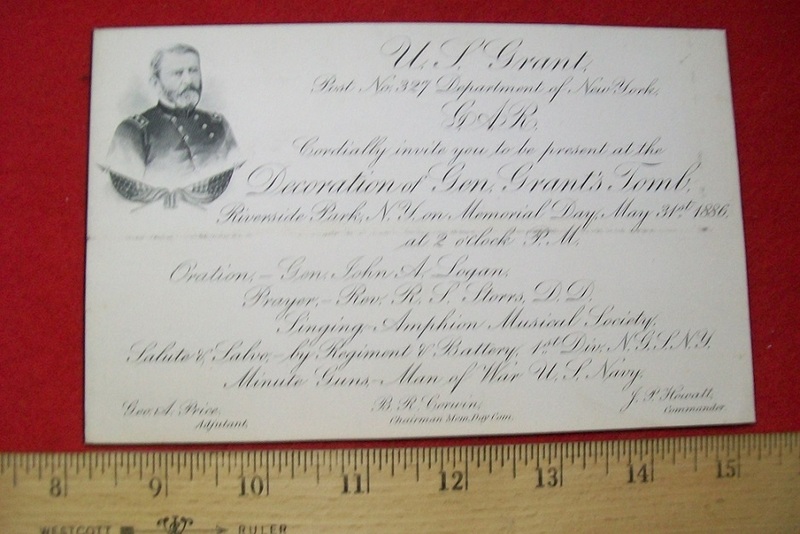 Invitation to Decorate Grant's Tomb. May 31st 1886. General John Logan speaking. 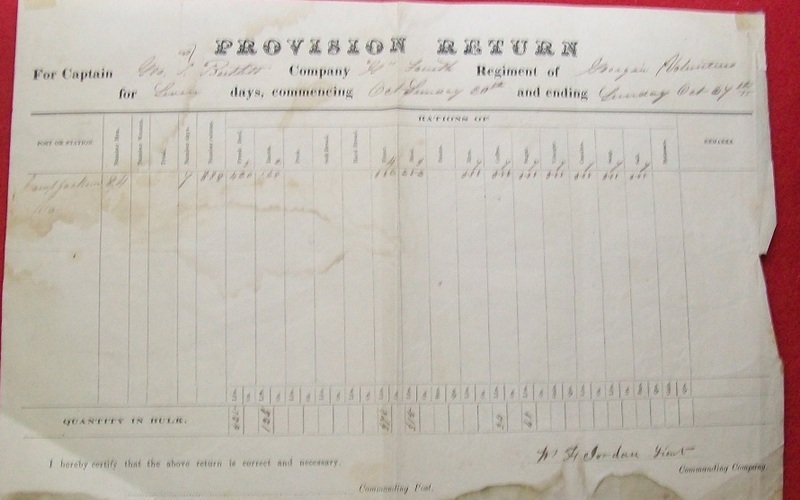 Coumbus & Indianapolis Railroad Company Stock Script. October 12, 1864. Large document in good shape. 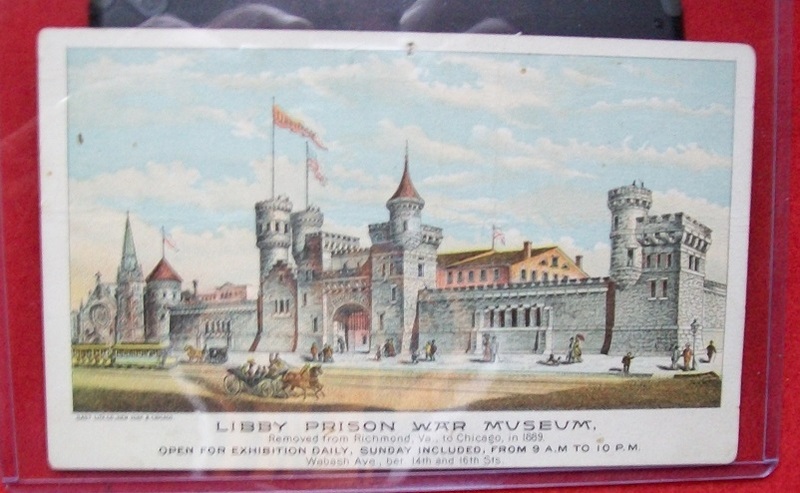 Libby Prison War Museum card. This is the card that got you in the museum when Libby was moved to Chicago in the 1890's as a Museum. You can see Libby inside the Castle. Manuscript Jefferson Davis Election Ballot. Virginia. These were used after they ran out of printed Ballots- so it rarer than the printed version. Signed on the reverse so it was cast. Alexander Stephens. CSA Vice-President. 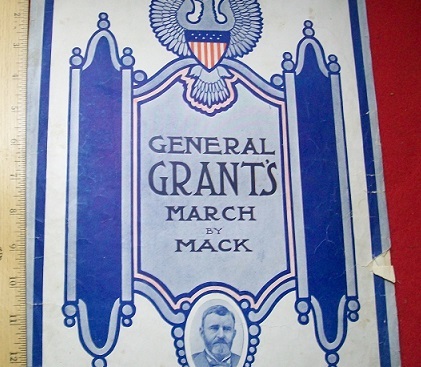 War Dated Cover addressed to him at Richmond. His Private Secretary has noted contents of the letter at the end of cover (his secretary did this to cut down reading time). CDV of Stephens. 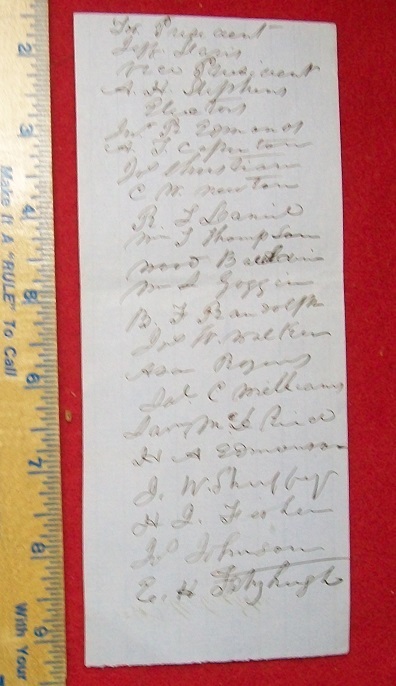 Autograph of Stephens as Member of Congress. 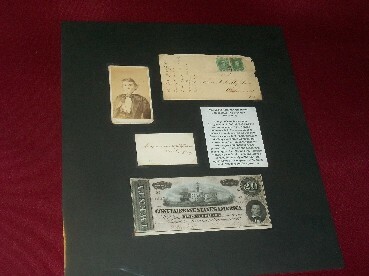 $20 CSA note with Stephens on corner. Free shipping. 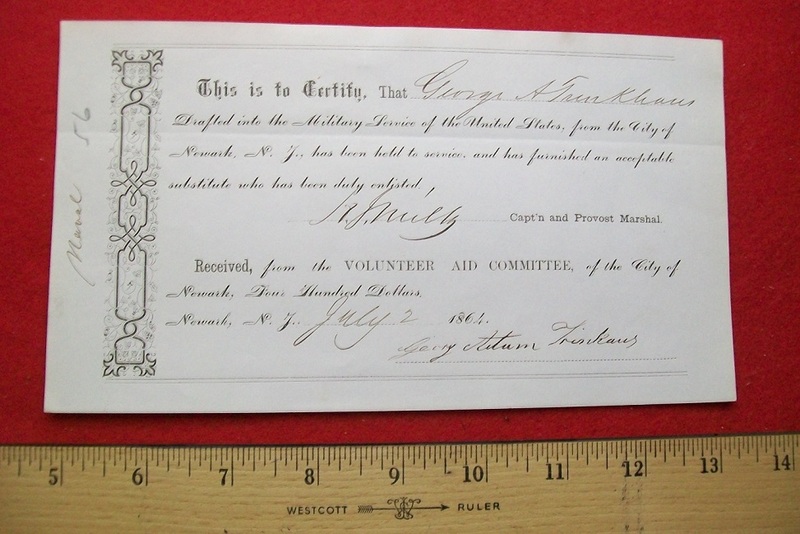 Certificate that states George Trunkhaus has furnished a heathly man for his place in the draft. New Jersey, July 2, 1864. Sometimes men would pay up to $1,000 dollars for this sub. The form here says $400 was paid.